← Windows 7 is Out Today! It seems that Sony is offering a limited numbers of PS3 Slim promotion package for the launch event. 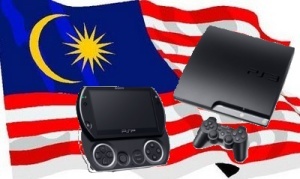 The promotion package is RM1399 and you get an extra DualShock 3 controller, a game and a free T-Shirt. This entry was posted in Gaming, Hardware and tagged playstation, ps3, ps3 slim, psp, psp go. Bookmark the permalink.